Weather all over the country is getting cooler. The Glucocil team is located in San Diego, CA, and even we are starting to have a few chilly nights and mornings. Places in the Northeast are seeing snow and the South is seeing rain. So, we thought that now might be the best time to present amazing low carb, low sugar soups to you. 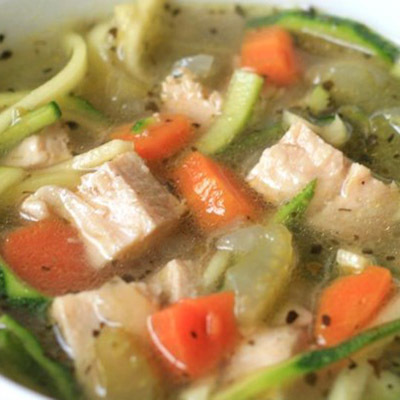 This week we are focusing on meaty soups. As the thermometer continues to fall, these may be of use to you over the next few months! We are starting classic. We all love chicken noodle but if you’re cutting carbs, the obvious place to start is with the noodles! The recipe yields six servings. Each serving has 208 calories, 8.9 grams of carbs and five grams of sugar. That sounds pretty amazing to us. If you’re looking for something a bit heartier, but want to stick to white meat, this chicken chili might be for you. The calorie count does not account for the shredded cheese seen as a garnish in the photos. However, the recipe yields six servings and each serving is 201 calories, so that cheese can be something you add either sparingly or with gusto depending on your diet. 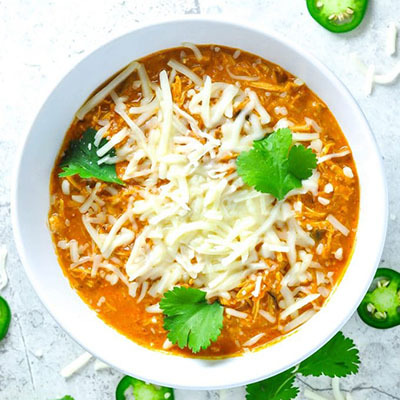 With jalapenos, this chili has a bit of a kick and can satisfy your desire for a warm filling meal with only seven grams of carbs and three grams of sugar. This delicious soup has 249 calories, under 14 grams of carbohydrates and 6.5 grams of sugar per serving. 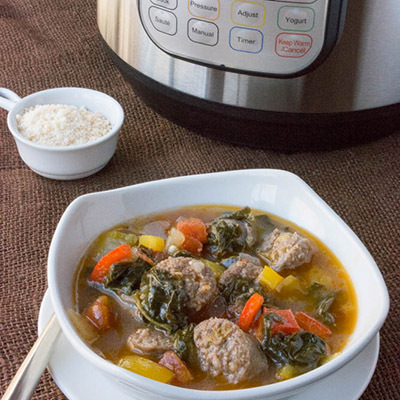 The great thing about this recipe is that it can be cooked in either a slow cooker of an Instant Pot. Either way, there is no stirring or giant effort to get this delicious Italian dinner to the table. This soup is low carb but not particularly low calorie. That might not matter to you if you’re just watching your blood sugar. However, if you are trying to slim down, this soup — weighing in at 348 calories per serving — may be a splurge or something to avoid, depending on your diet. If you are only watching your carbs, maybe on the keto diet, it has just over seven grams. That’s pretty great for such an indulgent meal. Finally, we come to the ruler of all meaty comfort soups: beef stew. This flourless version keeps the satisfying aspects of the soup while having half the carbs of most traditional stews. 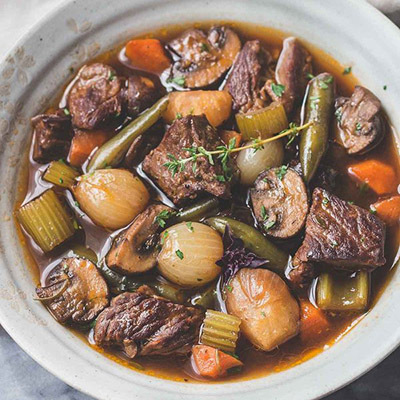 Beef stew usually holds about 17 grams of carbohydrates per serving; this has only eight and just 288 calories a serving! Using celery root in place of potatoes the starch is lowered while not losing the mouthfeel. Onions, mushrooms and garlic make the stew flavorful while the beef makes it stick to your ribs! 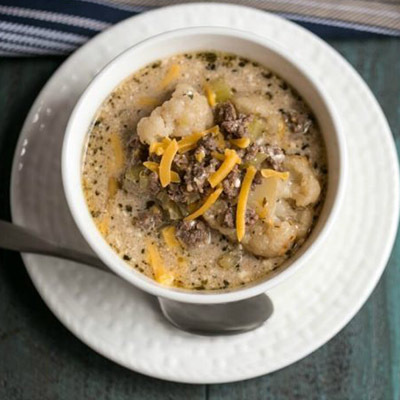 So, there you have it: five delicious and meaty soups for cold weather. We will most certainly be revisiting the topic of soup as the cold season continues, so please let us know your favorites. We would love to read/share your recipes. Email us at socialmedia@neulivenhealth.com.